Media captionO'Neill's lawyer said it had been an "error of judgement"
Northern Ireland football manager Michael O'Neill has pleaded guilty at Edinburgh Sheriff Court to drink-driving. The court heard he was caught by police in the early hours of 10 September at three times the Scottish drink-drive limit. He had been stopped while driving on the outskirts of the city. Sheriff Thomas Welsh QC fined O'Neill £1,300 and banned him from driving for 16 months. Prosecutor Chloe Shoniwa told the court that police officers had "reason to stop" O'Neill as he drove on the A720 Edinburgh city bypass between Lothianburn and Straiton. O'Neill was breathalysed and he was found to have a breath alcohol level of 65mcg - the legal limit in Scotland is 22mcg. Solicitor James Mulgrew, representing O'Neill, told the court: "This was simply a bad error of judgement on the part of Mr O'Neill." O'Neill, who lives in Edinburgh, is currently preparing Northern Ireland for the World Cup play-offs - a two-legged home and away tie against Switzerland next month. 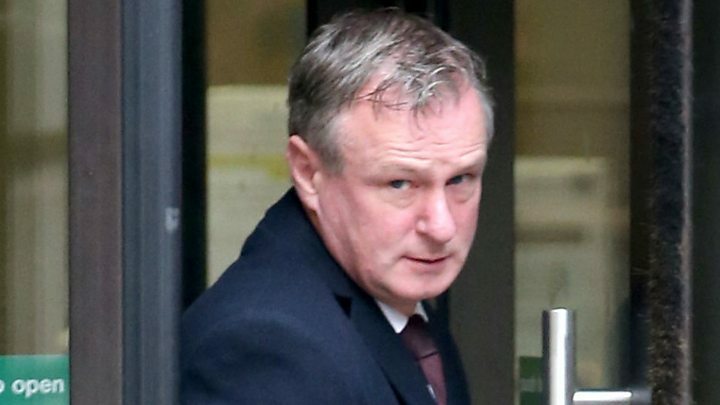 In a statement last month, the Irish Football Association (IFA) said it was "aware of an alleged drink-driving incident involving Michael O'Neill". During his playing career, O'Neill won 31 caps for Northern Ireland and scored four international goals. The midfielder started out playing for Irish League club Coleraine and went on to play for Newcastle United, Dundee United and Hibernian.